We often hear about how important NPK is for plant growth and to ensure our soils have more than sufficient quantities of available nutrients for growing crops. However, an undiscussed aspects is how that nutrient is made available to plants and how a fostered soil biological environment can help unlock nutrients, otherwise unavailable for plant growth. Last month we looked at how Nitrogen can be enhanced and how the Nitrogen cycle is dominated by biological activity, so this article is going to look at how biological activity can impact Phosphorus. A biological soil will help unlock P as well as ensure that P provided in fertilisers is made available to plants. In NZ we have had significant volumes of P based fertilisers applied to our soil over the past 60 years. The excess P which is not used by the plant, is quickly locked up or lost through soil processes. As Phosphorus is an anion and binds rapidly to the cation calcium, it becomes tightly bound or “locked up”, and difficult for plants to access. This reaction also locks up whatever calcium and magnesium is present, denying the plant an ability to produce forage. Only legumes can access P in this form which doesn’t help when you are relying primarily on grass as your feed source. P can only become available to plants when it has been converted to inorganic P and becomes present in the soil solution. Correcting the soil pH helps to release the phosphate, but it is largely made available by the action of soil microbes, in particular the action of soil microbes that excrete the enzyme phosphatase to unlock these compounds. This is where EM comes into play, as applying EM to the soil helps to stimulate the whole soil food web, significantly increasing the number of microbes in the soil and helping to balance the soil with both bacteria and fungi. The below table from a trial by EM developer Professor Dr Terou Higa and Gene Widdiana at the University of Ryukus in Japan looked at the changes in the Soil Microflora Induced by Effective Microorganisms. This shows the impact of EM on increasing the number of soil microbes post application. EM will also stimulate Mycorrhizal fungi. Mycorrhizal fungi form relationships with over 95% of plant species. They surround and even enter the roots of these plants, and provide nutrients such as phosphorus and water to plants in exchange for carbohydrates, usually sugars. In addition, EM also increases the production of the enzyme phosphatase in the soil. The below table from a published trial (Valarini, P. J.(2003). 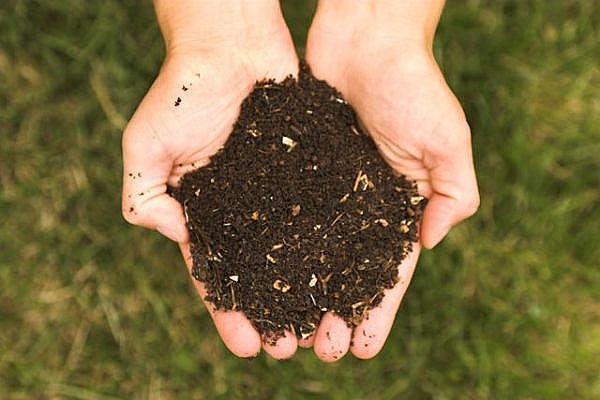 Assessment of soil properties by organic matter and EM-microorganism incorporation), which looked at the assessment of soil properties by organic matter and EM showcased EM increasing phosphatase 3-4 times over the control. Phosphatase is important as they have the capacity to utilize P from various forms of organic P that occur in soil. This includes inositol phosphates, a predominant form of organic P identified in many soils. When added to soils organic P substrates are rapidly hydrolyzed. One report noted that up 60% of the total organic P may typically be hydrolyzed by phosphatases. As you can also see from that same trial, EM had a big impact on the EC, pH and CEC among other things showing how much enhanced soil biology can impact other important aspects of the soil. Another example of EM will impact crop access to P is through speeding up the breakdown of the fertiliser and enhancing the plants utilisation. In the below visual experiment we wanted to show the visual impact of EM on fertiliser. This experiment shows the impact EM has on some Viafos Guano (A microbial friendly phosphate fertiliser) and how the microbes in EM can enhance the breakdown of fertiliser granules. The aim was to show that EM will breakdown the fertiliser granules faster therefore make the nutrient available to the soil and the plant. We did this by adding soil and the exact same volume of guano to each pot. EM was then added to 2 of the 3 plots per treatment keeping an untreated control. Each pot had 50ml of water every 3 days and these pictures were taken after 2 weeks. Below shows the impact EM Ready to Use (RTU) has on the breakdown of the granular product with the speed being increased significantly by the addition of EM. The first picture shows EM RTU at 1% and 5% vs a no EM control. It is evident to see that EM has sped up the breakdown of the guano with more granules separated and dispersed on the top of the soil. The No EM control still has a high percentage of granules intact whereas the 5% EM treated pot has broken down the most with almost no granules remaining intact. The below trial, published in the Middle East Journal of Agriculture Research, looked at the Uptake Efficiency of Wheat in Combination with EM. This trial concluded that there is a significant effect of integrated nutrient management of FYM, PM and mineral fertilizer, when applied in combination with EM on phenology, yield components and uptake in wheat. EM showed better results to solubilise higher amounts of nutrients and would be more beneficial in soils low in organic matter. The table below shows EM had a significant effect on P uptake by the plant. This final trial published in the American Journal of Alternative Agriculture looked at Rice and wheat production in Pakistan with effective microorganisms. The results of a three-year study in Pakistan show that EM applied in combination with chemical fertilizer, green manure, and farmyard manure significantly increased the yields and nutrient uptake of rice and wheat, compared with these treatments applied singly.